Good news! The DOOGEE Hotwind DG200 can be successfully rooted, thanks to alephzain from XDA forums. Here is a short guide to how to safely root Hotwind DG200. Oh and yes I have successfully rooted my own device to confirm the method. DOOGEE HotWind DG200 has a MTK6577, Cortex A9 dual core, 1.2GHz processor which makes the phone work very fast. It supports Android 4.2 operating system, supports an external TF card up to 32GB. 4.7 inch screen allows the user to view videos and play games at a comfortable size as well as clearly due to this phone’s 854 x 480 pixels display resolution. With the high end dual cameras, front 5.0 MP, black 8.0 MP with flashlight auto focus, you can record the happy moment easily. Actually rooting is a complicated process but thanks to alephzain for providing the simplest and one click process to get a root access over an Android device. Jellydroid will not be held responsible for any kind of damage or lose happened to your Hotwind DG200 before or after the rooting process on Android 4.2 ICS. Proceed at your own risk. Download The Framaroot app and Install the Framaroot tool .apk file you have downloaded earlier on your Hotwind DG200. Enable the installation option from unknown sources if asked. Done! 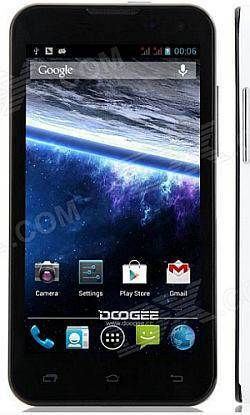 You’ve successfully rooted DOOGEE Hotwind DG200 on Android 4.2 firmware. Now verify by finding the SuperSU app in your apps list. You can download and install the Root Checker app from Google Play Store to check that either your DOOGEE Hotwind DG200 is successfully rooted or not. What rom is this? Is there a source for roms known to work with this phone? Thanks. How cand i install this rom ? it tell`s me installation aborted.Thank you. That’s a great news! I’ve tested it and… works! Now my doogee hotwind dg200 is finally rooted! THANKS! The REAL Android OS Version is 4.1.2. This China OEM as faked the build.prop and the framework smalli to display 4.2.2. I tried using framaroot on my doogee turbo and it keeps failing. Can anyone tell me how to root this phone?